WE ACCEPT: Visa, Mastercard, American Express, Discover and PayPal. This store uses Yahoo! secure SSL encryption to accept your credit card orders. Our products are top quality name brand merchandise, but we understand that sometimes you just aren't happy with something you purchase, whether in a physical store or online. 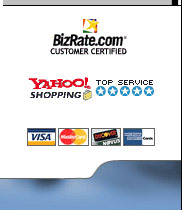 Your satisfaction is guaranteed by Best Brands Trading, Inc and Best Brands Club on all online purchases. Our goal is for each transaction to result in a pleasant, convenient and successful shopping experience. If there is any reason that you need to return merchandise purchased on BestBrandsClub, you can do this very simply. Best Brands Club will refund or exchange an item within 30 days of shipping date. We can only ship to the billing address listed on the monthly statement of the credit cards issuing bank for Visa, Mastercard, Discover, American Express or PayPal. On orders over $200 and when the "Ship To Address" is different than the billing address, the credit cardholder is required to call the issuing banks Customer Service via the banks toll free number, and specifically list the "Ship to Address" as an "Alternate Address" for purposes of this purchase, and to be on file for verification, in order to complete the transaction. We reserve the right to cancel orders that do not contain valid customer information. We do NOT charge restocking fees! If you are not satisfied with your purchase, you may return it for exchange or refund (excluding shipping and handling charges) within 30 days, subject to a Return Authorization. Returns will not be accepted without a Return Authorization Form or after the specified time limits. On these items, manufacturer's warranty may apply. Keep your purchase, accessories and all packing materials in new condition to avoid any restocking fees. All exchanged/ returned merchandise must be in original factory carton, including all packaging materials, inserts and manuals, warranty cards (not filled-out) and all accessories. Please do not tape or write anything on the item or the original manufacturer's carton. In some cases, we may charge you for the replacement of damaged, altered, missing, written-on or taped-on contents or cartons. We reserve the right to refuse any such items. To obtain an RMA number and return using RMA and return address we provide with that RMA, please e-mail us at return@bestbrandsclub.com. We are required to charge sales tax on all orders shipped to addresses in New Jersey, US only. No tax will be charged on orders shipped outside the state of New Jersey, US. For Ground Shipments, a business day does not include Saturdays,Sundays, or holidays. Example: You ship a package on Monday that takes 2 business days to arrive. You do not count the day you ship as a business day, so your package would arrive on Wednesday, the second business day after the ship date. 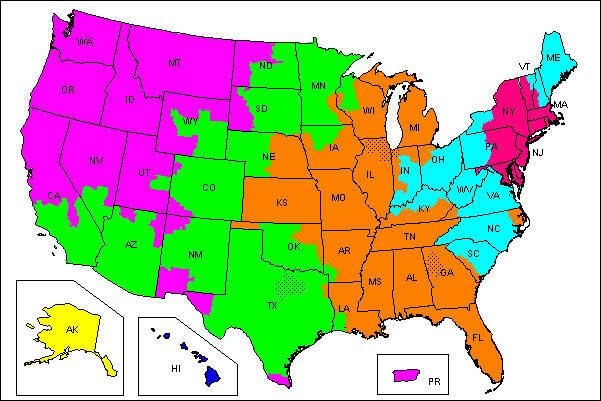 We ship to the 48 contiguous states only. Your order will be shipped via UPS Ground Service or FedEx Ground Home Delivery Service. Items with promotional offer FREE SHIPPING, are shipped with UPS Ground Residential or FedEx Home delivery services. Order received Saturday and Sunday, will be shipped on the next business day. You can check the status of your order by visiting our page Track Your Order. To track the status of your shipment, use the BestBrandsClub.com order number or the UPS tracking number.